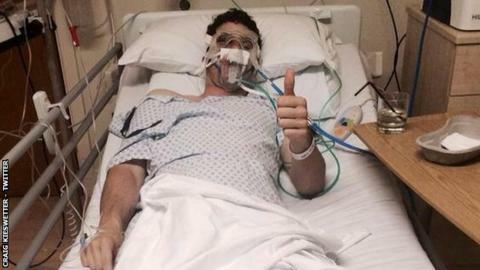 Somerset have said Kieswetter's long-term prognosis is unknown but he is "unlikely" to be fit for next year. The South Africa-born keeper said in a statement: "It is really disappointing but my eye is not 100% and this of course is critical in maintaining the levels of performance that I expect of myself. Kieswetter, who has played 46 one-day internationals, had been named in England's 30-man squad for the World Cup, which starts in February. He recently appeared for Warriors in South Africa's domestic T20 competition, scoring 199 runs at an average of 22.11 in his 10 outings. And only last week he was announced as a new signing for Sydney Thunder in Australia's Big Bash League, but he has since withdrawn.